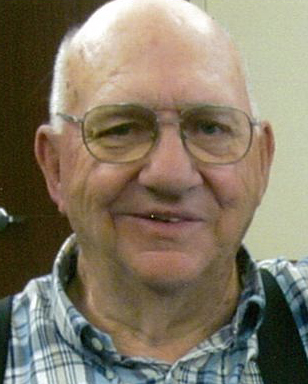 Hastings resident Jerry “Pat” Novacek, 81, passed away Sunday, January 20, 2019, at Mary Lanning Healthcare, Hastings, NE. Services are 10:30 a.m. Thursday, January 24, at North Shore Assembly of God in Hastings with Pastor Chris Johnson officiating. Burial will be at Parkview Cemetery in Hastings. Memorials may be given to Jerry “Pat” Novacek Memorial Fund for strength and conditioning equipment at Gothenburg High School c/o Gothenburg State Bank, 900 Lake Avenue, Gothenburg, NE 69138. Visitation is 6-8 p.m. Wednesday with family members present at the funeral home, and one hour prior to service at the church. Pat was born April 3, 1937, in Tekamah, NE to Gerald & Edna (Robinson) Novacek. He graduated from Tekamah High School and received his Master’s degree in education from North Dakota State University in Fargo, ND. Pat married G. June Hauptman on August 18, 1957, in Nebraska City, NE.